The 2017 Grand Sport features a 6.2L LT1 V8 engine, capable of 460 horsepower and 465 lb.-ft. of torque. The compact design lowers the hoodline, providing optimal weight balance. A dry-sump oil system delivers oil flow through the most extreme cornering, helping Grand Sport deliver a consistently high level of performance. 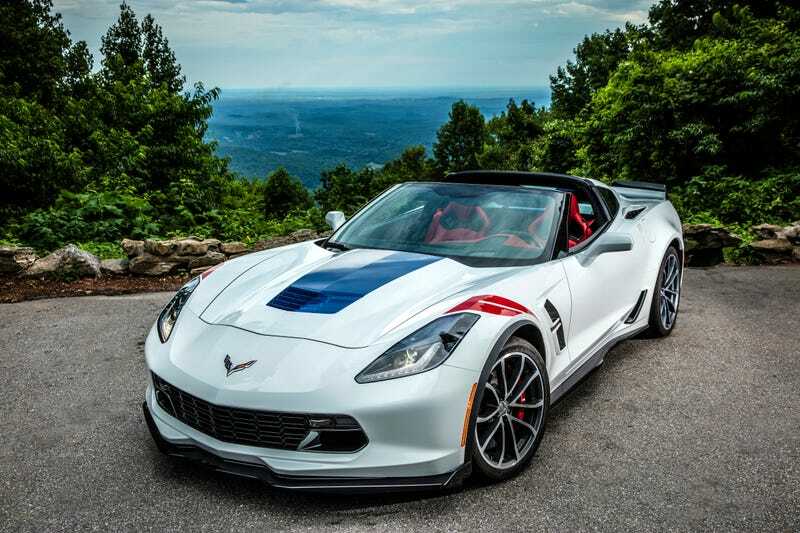 With available head-up display, connectivity, the latest Chevrolet MyLink† 8-inch diagonal touch-screen†, easy-to-use driver modes and an available class-exclusive Performance Data Recorder, this is the most technologically advanced Corvette to date. The eight-inch diagonal LCD display features three customizable themes with varying levels of information, from G-force to redline and more. This available display projects data near your line of sight on the windshield, helping you stay informed while you focus on the road ahead. Grand Sport keeps you connected and entertained with a retractable 8-inch Chevrolet MyLink† color touch-screen. Using steering wheel controls, hand gesture recognition and voice recognition capabilities, you can talk, text and stream music without taking your hands off the wheel. Apple CarPlay† takes certain iPhone® features and puts them on the vehicle’s display in a clean, simple way. This allows you to make calls, send and receive messages and listen to music right from your touch-screen or by voice using Siri. Apple CarPlay supported apps include Phone, Messages, Maps and compatible third-party apps. Connect your compatible Android smartphone to the available Chevrolet MyLink† with 8-inch diagonal display to access select apps, Google Play Music™, your calendar, navigate with Google Maps™, make phone calls, or send and receive hands-free text messages. Grand Sport features available 4G LTE Wi-Fi®† that’s more powerful than your smartphone. Through OnStar®, this technology gives Grand Sport a reliable Wi-Fi connection. The powerful signal gives you and your passengers the ability to seamlessly connect up to seven smart devices to to the Internet, giving you the freedom to roam while connected.